UNITED NATIONS, May 26 2017 - The Group of 77 is calling for a “substantive outcome document” at the conclusion of the upcoming High-Level Political Forum (HLPF) on Sustainable Development scheduled to take place July 10-19. The Forum will also include a three day ministerial meeting July 17-19. The theme of the Forum will be ”Eradicating Poverty & Promoting Prosperity in a Changing World”. The meeting is to be convened under the auspices of the Economic and Social Council (ECOSOC). 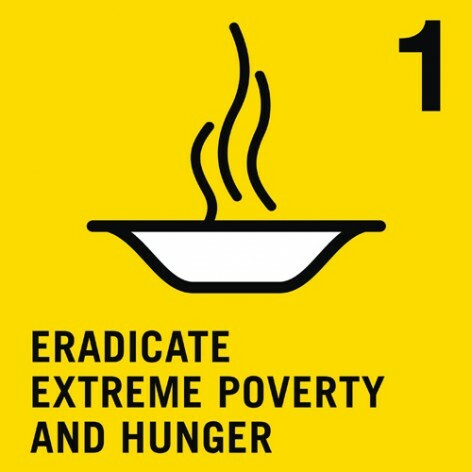 First, in order to maintain consistency with the theme of the HLPF 2017, “Eradicating poverty and promoting prosperity in a changing world”, the document should emphasize at the outset and in its introductory part our overarching common goal to eradicate poverty in all its forms and dimensions. This should include extreme poverty, recognized as the greatest global challenge and an indispensable requirement for sustainable development, while making the linkages with the cross-cutting nature of all the SDGs. Poverty eradication, ending hunger, healthy lives and well-being, gender equality, infrastructure, industrialization, innovation, conservation and sustainable use the oceans, as well as means of implementation, must be adequately aligned with the theme, he added. The zero draft should also reaffirm the principles recognized in Agenda 2030, in particular the principle of common but differentiated responsibilities. It should also reflect references to relevant intergovernmental policy documents, such as the New Urban Agenda adopted in Quito and the entry into force of the Paris Agreement adopted under the UNFCCC. While underlining the importance of achieving gender equality and empower all women and girls and the role of youth in the implementation of the 2030 Agenda, the zero draft should make this reference not in the introductory part, but in a more adequate section, with a view to appropriately reflect a balance in all vulnerable groups that need to be empowered. Although the Group supports the need for the ongoing discussions on the reform of the UN Development System, which is still a work in progress, most notably within the mandate of the QCPR resolution, both HLPF and ECOSOC HLS might not be the appropriate fora to address this subject. Thus, It is fundamental to encompass a clear “goal-by-goal” reference to each of the SDG’s that will be reviewed in-depth in HLPF 2017, while safeguarding the integrated nature of Agenda 2030. The Group also believe that a treatment of all levels, including the regional level, is fundamental to a thorough treatment of the SDGs. The G77, joined by China, believes that the treatment of the issue of “means of implementation” to achieve sustainable development should be enhanced throughout the document as an important element of follow-up and review of the 2030 Agenda. In this regard SDG 17, being annually considered and assessed, and bearing in mind its cross-cutting nature, should be reviewed in-depth on equal footing as the other SDGs that will be reviewed each year, and should also be discussed on this part of the document on MOIs. The Group also believes that the treatment of South-South Cooperation should be included, and recalling it as a complement rather than a substitute for North-South Cooperation. The Group emphasized the need to avoid reference to “Monitoring”. A win-win cooperation approach should be considered for achieving SDGs. Wider mechanisms for consultation and participation by individuals in the implementation of the 2030 Agenda will enhance the sense of contribution, involvement and shared benefits. “We should encourage the involvement of all stakeholders and not only that of civil society,” he declared.